That was one hell of an episode of Game of Thrones. So much fire. And even more ice! Let’s try to wrap our heads around everything that happened—if you’ve managed to catch your breath and/or pick your jaw up off the ground, that is. Man. 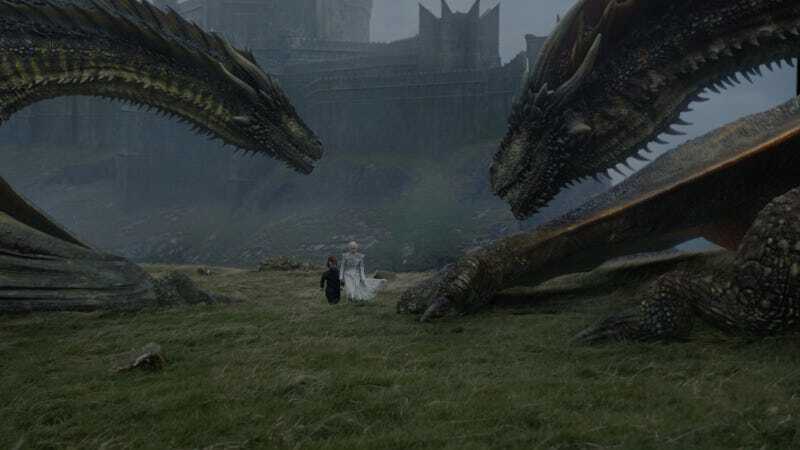 Well, Jon and his crew of frozen badasses have gotten their proof of the army of the dead, and Daenerys has seen for herself what danger lies beneath the Wall. But this was a pyrrhic victory at best, since Jon just handed the Night’s King his biggest weapon yet in the war to come. Also, Arya is sort of losing her mind and Sansa is not handling it well. Let’s all get into it in the comments!